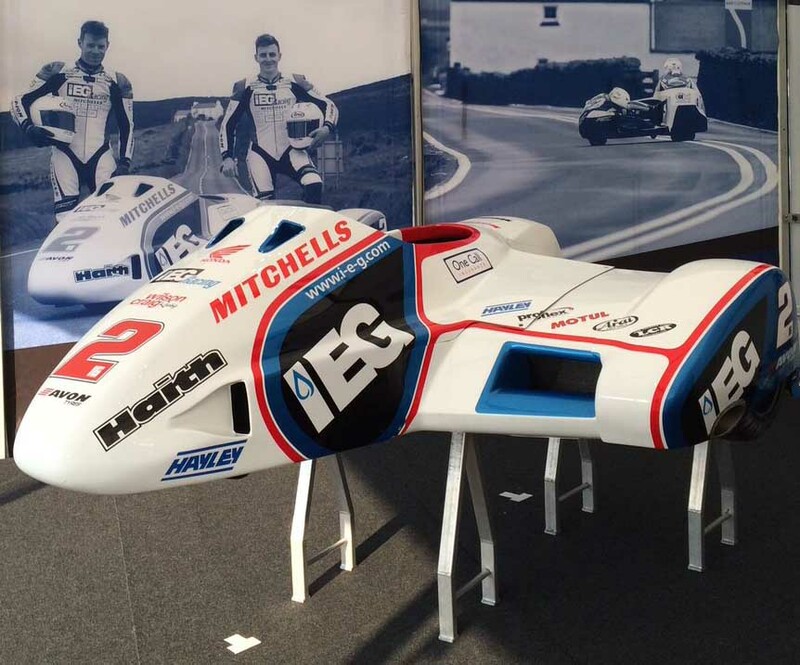 Practice for the IOM TT Sidecars is now over with the first 5 days of testing behind us, read on to find out how Ben and Tom fared as they make their bid for a 4th IOM TT Sidecar crown. 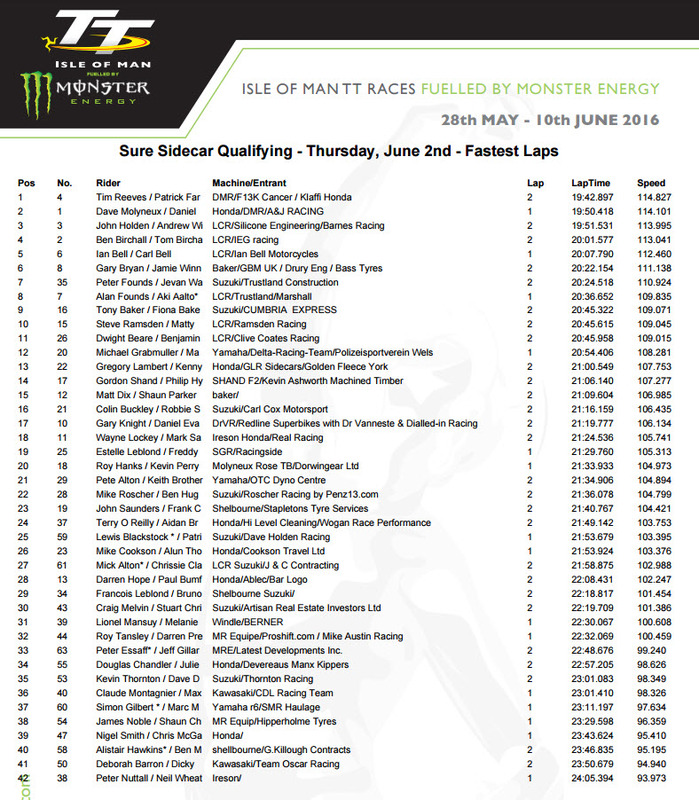 All week the sidecar boys have been out late into the evening to get a feel for the IOM TT track and to fine tune their machines in readiness for Saturdays first race. Both of the upcoming 3 lap races promise to be nothing short of breathtaking as 3 times TT winners Ben and Tom Birchall take on the early front runners from the first five sessions, John Holden and Andrew Winkle, Ian and Carl Bell and the ever competitive Tim Reeves and Patrick Farrance, but as we know, the TT is a uniquely competitive race and plenty of teams will be out there trying to capture TT silverware. Conditions for racing at this years TT have been just about perfect for the first few days, seeing warm, sunny conditions that have bought out the spectators in their droves. 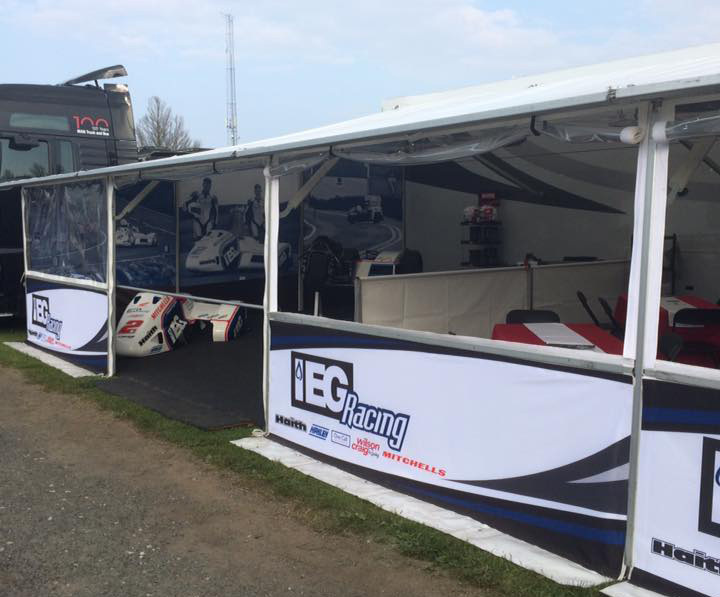 As always, Ben and Tom were set up early and ready to tackle the course and the rest of the field in their beautifully turned out IEG Sponsored Sidecar. The formula two Sidecar class got it’s first taste of action on Monday evening, with the evening sun still shining and with pleasant summer temperatures, the much anticipated first session got underway. With the first session out out the way it was time for Ben and Tom to start thinking about fine tuning the bike and familiarising themselves with the TT course, as you probably already know, the TT course is well known to both Ben and Tom but fate was to have a hand in Tuesdays practice. With perfect racing conditions for the 8:05pm start it was the previous days fastest pair who set the tone once again. John Holden and Andrew Winkle managed 113.15mph to top the leaderboard for the second day and were closely followed in second by Ian and Carl Bell who were only marginally slower at 112.98mph. Unfortunately Ben and Tom were forced to retire with a blown engine and therefore failed to finish the first lap of the session. Wednesday bought better luck for Mansfields Birchall racing. After a quick engine change and some work on niggling problems the brothers were once again ready to test themselves on the TT circuit. However, Ben and Tom started slowly on the first lap, no doubt feeling out the new engine and the changes made earlier in the day and opened with 99.263mph. After a busy day preparing for Thursdays practice Ben and Tom had a slow first lap but they were clearly holding something back because their second lap was much faster, maybe they were just bedding something in on the first lap as the second time around the course they lapped in excess of 113mph Proving that they are right on the pace and looking good for Saturdays race. The Sure Formula two Sidecar competitors continued to be blessed with ideal racing conditions as they lined up for the start of this weeks final practice run. Early pace setters John Holden and Andy Winkle look to be the duo to beat after recording the fastest lap of the week on Friday at 115.349mph. 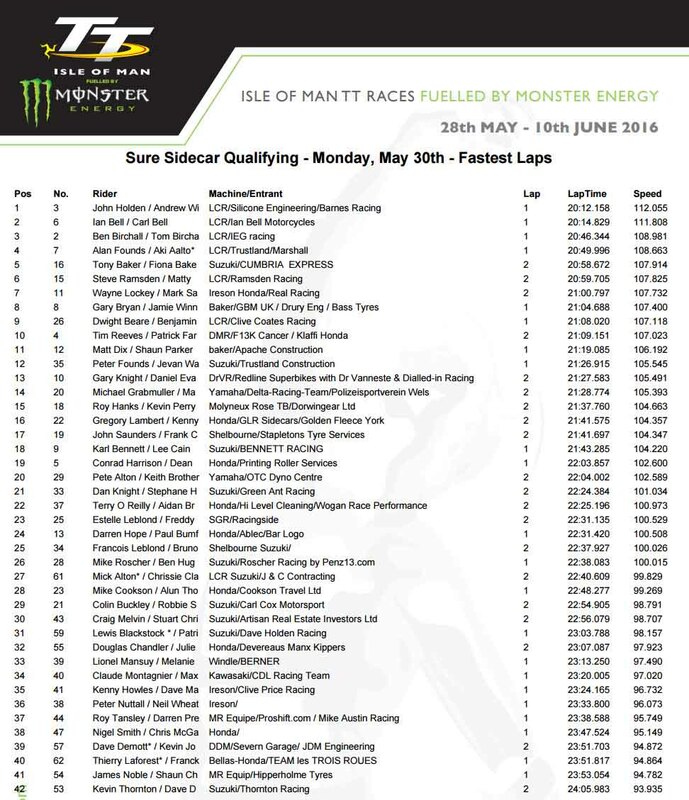 They were closely followed by the Birchalls on 114.657mph, the third fastest lap of the week, showing that Tom and Ben are building their speed nicely in preparation for Saturdays 3 lap race. Ben and Tom Birchall pitted prior to their second lap but only managed to get to Union Mills on their second lap before a mechanical problem struck, we don’t have confirmation from the team as to why this was but we are assured everything will be in place and ready for Saturdays Sure Sidecar Race which is scheduled to get underway at 2pm (GMT). 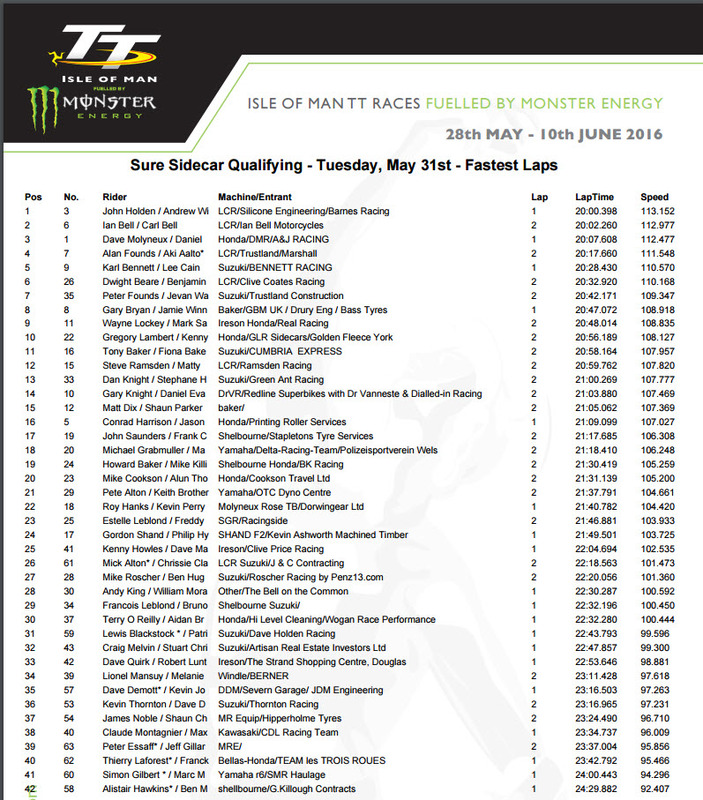 You can follow all of the qualifying and racing around the Mountain Course via the live timing on the official TT website and live Manx Radio commentary which is available via iomtt.com.